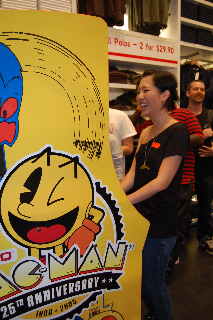 New York – Tokyo (NYT) is excited to introduce the UNIQLO PAC-MAN CHALLENGE—where a number of our media friends will compete against one another for the title of PAC-MAN champion. 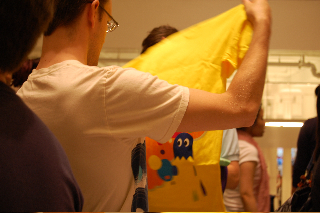 The UNIQLO PAC-MAN CHALLENGE was inspired by the fun UT PAC-MAN T-shirts designs and our endless love for PAC-MAN. 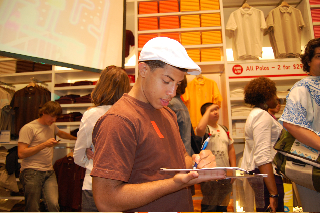 NYT thanks UNIQLO for allowing us to host this unique event and NAMCO Networks, who have graciously supported us in putting together this high level contest. 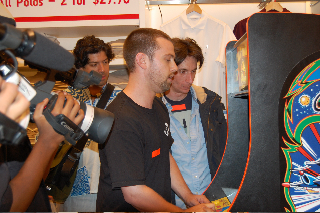 Friday night was the exciting UNIQLO PAC-MAN CHALLENGE. 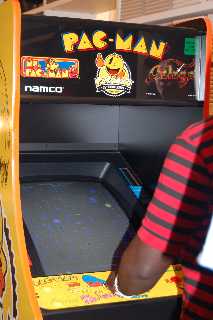 14 company teams and selected 28 walk-in challengers showed up to battle for the winner spot on the PAC-MAN arcade machines. 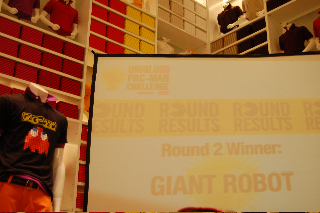 The UNIQLO PAC-MAN CHALLENGE was held on the mezzanine level at UNIQLO SOHO, 546 Broadway where it was decked out with PAC-MAN graphics and UNIQLO PAC-MAN merchandise. 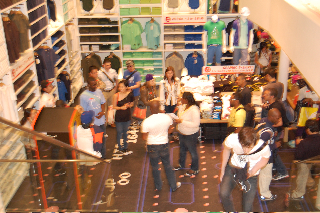 The store was crowded as usual and people passing through were in for a surprise! 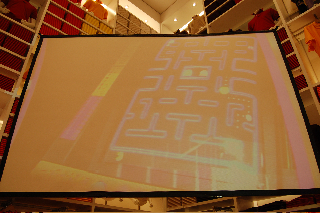 The event information and live feed was projected on a large screen shot on the corner of the mezzanine. The event wouldn’t be complete without the 4 hour “Special NYT Music Mix” which had select tracks from Namco Classic Collection to YMO. 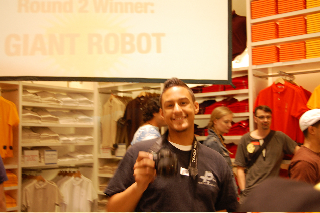 The competitors were an enthusiastic bunch and made the event more fun and exciting. Not to mention that the host, Brian Austin, is one of our favorite all smiles MC that will put anyone in a good mood. Continue reading full event report here. “Looking forward to chasing Blinky, Pinky, Inky and Clyde soon!”. Here are some words from the competitors! 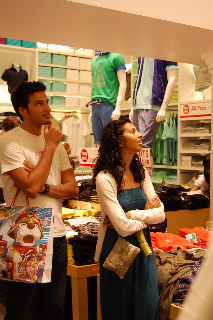 Just a reminder, if you want to enter the walk-in challenge on the 19th at UNIQLO Soho, 546 Broadway, you must RSVP! 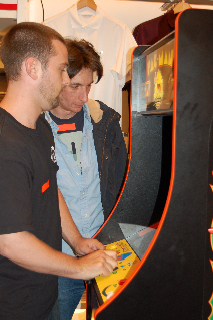 UNIQLO PAC-MAN CHALLENGE site launch and warm ups begin. 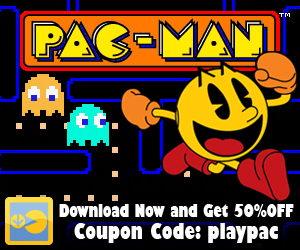 PAC-MAN™ ©1980-2008 NAMCO BANDAI Games Inc.